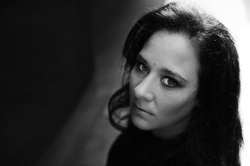 Kate Burke has been singing and performing as a multi-instrumentalist for many years, and has won much acclaim as a member of Irish / Australian traditional band Trouble in the Kitchen. 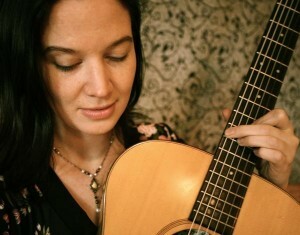 Kate is in demand as a session guitarist and album producer, and has performed music for film and television. 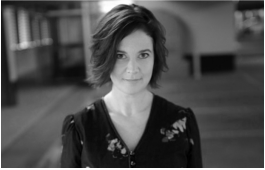 An award-winning and highly-accomplished songwriter, Kate’s songs have been performed and recorded by such artists as Muireann nic Amhlaoibh (Danu) and Tolka. Kate is passionate about community music, and is the director of the Bega Valley Children’s Choir. She has appeared as a soloist at the Sydney Opera House for a season of Bush Babies’ Proms. She also plays with Pete Wild and the Only Ones, on various instruments… including the trumpet. Kate Burke and Ruth Hazleton are two of Australia’s most respected and renowned folk musicians. Their vocal harmonies, exceptional musicianship and unique interpretations of traditional song have won them national and international acclaim over the years. Since performing together for the first time in 1998, Kate & Ruth have toured Australia and internationally, recorded five studio albums, and played and recorded with such luminaries as Andy Irvine and Bruce Molsky. They’ve picked up awards (ScreenSound Australia Award for Best Folk Album, Lis Johnston Award for Vocal Excellence), and have been described by The Australian as “Why folk music is cool again”. Declaration is an album is full of atmosphere and shifting gears - from tales of strong women, hardships, wistful vignettes, infidelity, true love, spirituality and the complexity of the world in which we live. Traditional songs, contemporary songs and self-penned works are interpreted through intricate and sometimes sparse guitar and banjo arrangements (occasionally accompanied by Luke Plumb on mandolin and bouzouki), which serve to highlight their trademark - brilliant vocals. 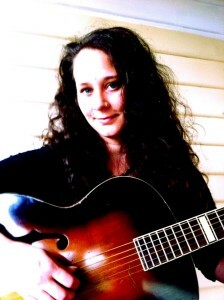 Ruth Hazleton has been performing in numerous touring acts for over 15 years. She has dabbled in a variety of musical genres including Appalachian old-timey, klezmer, Hungarian and Anglo-Celtic roots music. She has worked as singer, guitarist and clawhammer banjo player with numerous bands including Closet Klezmer, the Horse’s Leotard, Bill Jackson’s Acoustic Orchestra and Dev’lish Mary. Alongside studying Australian folklore, Ruth has recently been working as a collector of childrens’ folklore. Ruth is a strong and agile vocalist and multi-instrumentalist, and has been a dominant figure on the Australian festival scene for many years.